We combine over 30 years industry experience with extensive product knowledge to develop tailored UC solutions that fuel adoption and empower organizations. Over 30 years of expertise in tailored global solutions. Thousands of unified communication specialists and gurus are currently attending the massive Enterprise Connect Conference (EC13) in Orlando, Florida this week. The annual conference focuses on enterprise communications and collaboration along with the technology and services that support such business endeavors. Unified communications and enterprise collaboration is an ever-changing landscape of innovation. The conference should shape up to be one of the most informative and useful exhibitions of the year. If you are attending, get ready to experience new UC frontiers. In the meantime, attendees are blogging and tweeting updates. See @UnifiedCommunic and @Anaidfederates on Twitter. 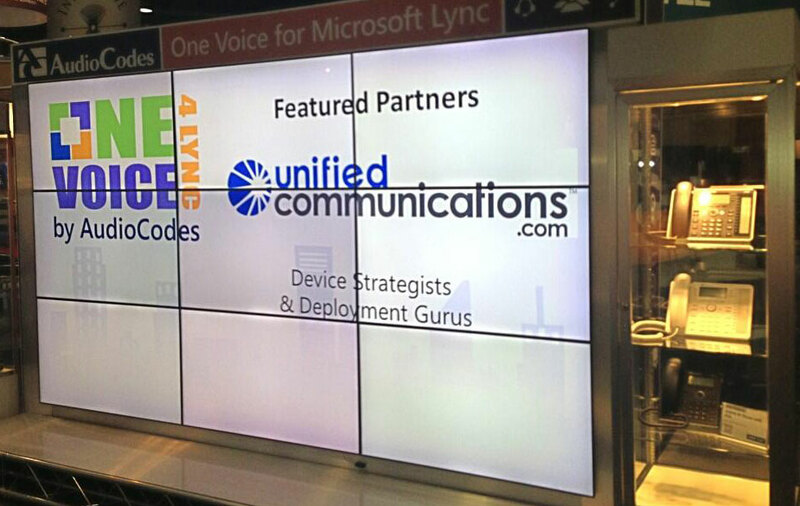 UnifiedCommunications.com is on the EC13 premises along with Audiocodes in booth 1313. Stop on by for your chance to win a free Busylight. We will have further updates on Twitter UCBuzz and Facebook UCBuzz in the weeks following the conference.